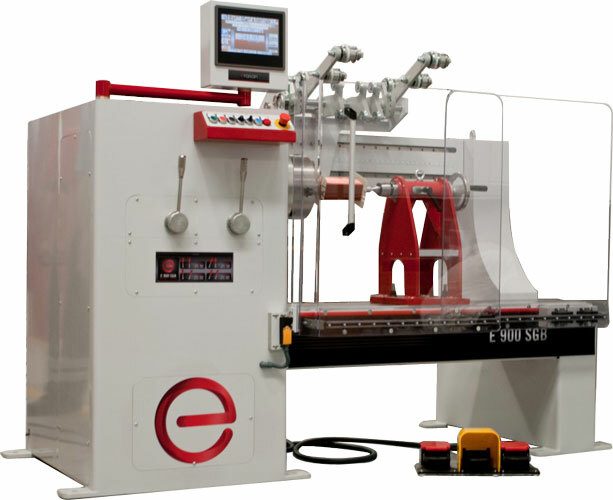 Example video showing e-900 SGB machine with very high toque, equilvent ot the 1200 model but still a compact machine. * The custom version of this machine&apos;s torque is shown bleow. The applications of this machine include the manufacture of medium sized coils, including solenoids, motors, inductors, and power distribution transformers, typically in the range of 10 to 600 KVA. User-selectable speed ranges of up to 3,000 rpm allow fast winding with small wires whilst delivering high torque for winding heavy wires.